Shigeru Katagiri received a B. E. degree in electrical engineering and M. E. and Dr. Eng. degrees in information engineering from Tohoku University, Sendai, Japan, in 1977, 1979, and 1982, respectively. From 1982 to 1986, he worked at Electrical Communication Laboratories, Nippon Telegraph and Telephone Public Corporation (currently NTT), Tokyo, Japan, where he was engaged in speech recognition research. From 1986 to 1998, he was with the Advanced Telecommunications Research Institute International (ATR), Kyoto, Japan. At ATR, he worked on various speech-related research issues that included speech recognition and spoken language acquisition. From 1999 to 2006, he worked with NTT Communication Science Laboratories (CS Labs), Kyoto, Japan, where he was engaged in a wide range of machine learning research, and he also served as several management functions that included Director of the NTT CS Labs. Since 2006, he has been with Doshisha University, and currently he is a Professor at the Graduate School of Science and Engineering. Dr. Katagiri has published more than 260 journal papers, conference papers, and book chapters. For his academic achievement, eight awards and titles have been presented; they include the 22nd Sato Paper Award of the Acoustical Society of Japan (ASJ), the 27th Sato Paper Award of the ASJ, the 1993 IEEE Signal Processing Society Senior Award, IEEE Fellow (2001), and NTT R&D Fellow (2002). Dr. Katagiri has continuously contributed to various IEEE functions that include the followings: Chair (1999-2000) of the Technical Committee on Neural Networks for Signal Processing, Associate Editor of the IEEE Transactions on Signal Processing (1994-1997), Member-at-Large of the IEEE Signal Processing Society Board-of-Governors (2003-2005), Member of the IEEE Flank Rosenblatt Award Committee (2004-2007), Chair of the IEEE James L. Flanagan Speech and Audio Processing Award Committe (2016-2017), Chair of the IEEE Kansai Section (2011-2012), Program Chair of the 1996 IEEE Workshop on Neural Networks for Signal Processing, and General Co-Chair of the 2011 IEEE Workshop on Machine Learning for Signal Processing. In addition to the IEEE services above, Dr. Katagiri also plays a key role in various academic functions, such as holding the positions of Action Editor of the Neural Networks (2000-2006), Associate Editor of the IEICE Transaction D-II (1997-2001), Chair of the ASJ Kansai Section (2005), and Member of the Science Council of Japan (2006-2014). His recent research focuses on training method development for pattern recognizers, specially such discriminative training methods as Minimum Classification Error training. Professor Jianjun Li received the PhD degree in Electrical and Computer Engineering from Windsor University, Canada. He is now serving as a chair professor of School of Computer Science and Technology in Hangzhou Dianzi University. He is also the director of Institute of Graphic and Image. Before this, Dr.Li worked in National Audiology Center (NCA) of Canada from 2003 to 2005, Mitsubishi Electronics Research Laboratory (MERL) of U.S.A from 2005 to 2006, École polytechnique fédérale de Lausanne (EPFL) of Switzerland from 2006 to 2007 as a visting scholar. He worked in Ambroda Ltd. for video coding stream processing of U.S.A from 2007 to 2010 as a senior engineer. From 2010 to 2012, Dr.Li worked as an assistant professor in Bilkent University and Ankara University, Turkey. In the meantime, he worked for FP-7 (now Horizon 2020) 3D project as a research fellow. 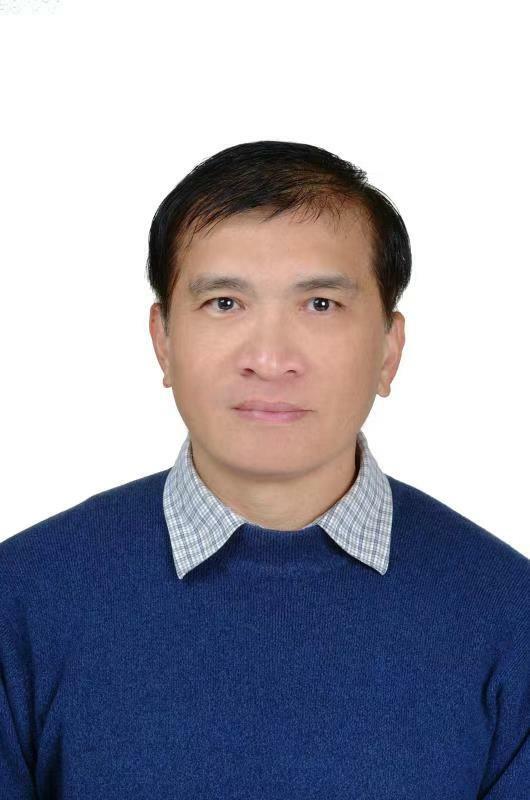 Professor Li has worked in many different topics in computer vision, multimedia image processing, video coding and deep learning and published more than 50 papers in international conferences and journals and 2 books. He also has 3 contributions adopted by ISO/IEC Movie Picture Experts Group (MPEG) as a part of Reconfigurable Video Coding (RVC) standard. Dr.Li worked with International Institutes and Enterprises for more than 10 projects during his stay in abroad for more than 10 years. He now works on the National Science Foundation (NSFC) of China, National institutes and other Enterprises on more than 20 projects and holds 20 patents. Professor Li is also the recipient of several awards, including the “Qianjiang” scholar and the chief scientist of the innovation team of Zhejiang province in “3D industry and technology application”. Meanwhile, he is also a reviewer of many international journals and hold keynote speaker and committee member of many international conferences. Prof. Yen-Wei Chen received the B.E. degree in 1985 from Kobe Univ., Kobe, Japan, the M.E. degree in 1987, and the D.E. degree in 1990, both from Osaka Univ., Osaka, Japan. He was a research fellow with the Institute for Laser Technology, Osaka, from 1991 to 1994. From Oct. 1994 to Mar. 2004, he was an associate Professor and a professor with the Department of Electrical and Electronic Engineering, Univ. of the Ryukyus, Okinawa, Japan. He is currently a professor with the college of Information Science and Engineering, Ritsumeikan University, Japan. He is also a visiting professor with the College of Computer Science, Zhejiang University, China. He was a visiting professor with the Oxford University, Oxford, UK in 2003 and a visiting professor with Pennsylvania State University, USA in 2010. His research interests include medical image analysis, computer vision and computational intelligence. He has published more than 300 research papers in a number of leading journals and leading conferences including IEEE Trans. Image Processing, IEEE Trans. SMC, Pattern Recognition. He has received many distinguished awards including ICPR2012 Best Scientific Paper Award, 2014 JAMIT Best Paper Award, Outstanding Chinese Oversea Scholar Fund of Chinese Academy of Science. He is/was a leader of numerous national and industrial research projects.